Getting a hybrid dog is becoming increasingly popular these days, especially since more people are looking into getting dogs from shelters, dogs which are usually not purebred. 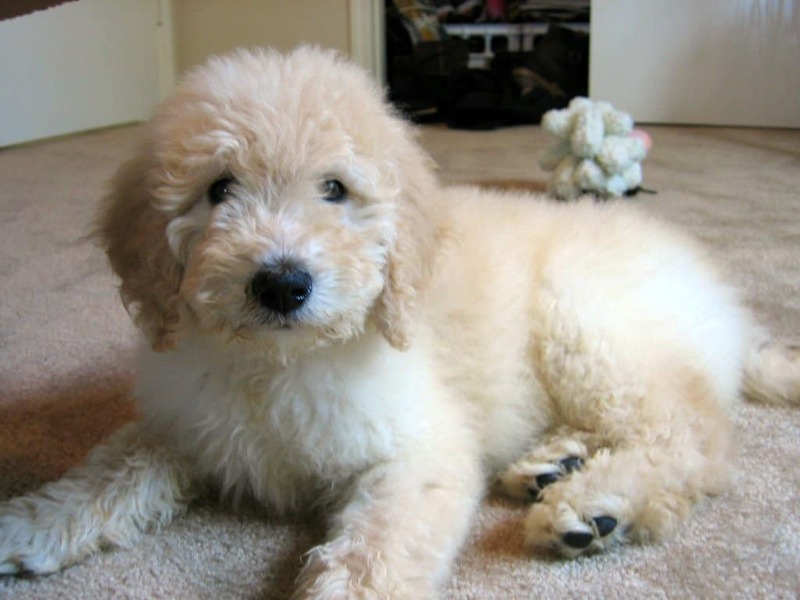 The Goldendoodle is one of the more popular dog mixes these days, a hybrid between a Golden Retriever and a Poodle. Dogs from both breeds are incredibly popular and intelligent (top 5 most intelligent dogs in the world). 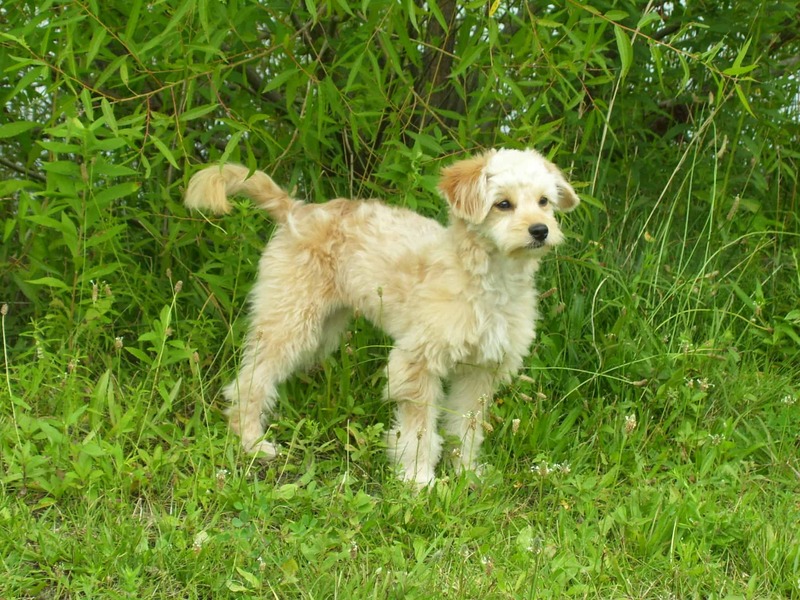 The Poodle Golden Retriever mix was bred by accident in many cases, but it’s also a popular hybrid among breeders, mainly because of the allergy free properties of the Poodle. The resulting dog between these two breeds can be very intelligent and it seems to be quite popular, so it’s no surprise that a lot of people want one. 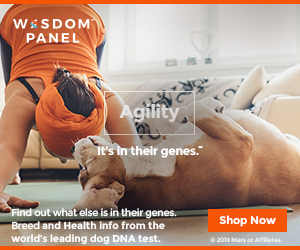 One of the possible advantages of getting a hybrid between two different breeds is that many first generation crosses tend to be healthier than the parents. 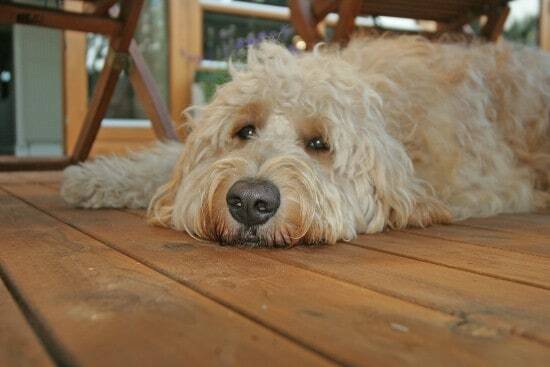 The Goldendoodle is a dog that is easily trained, very intelligent, affectionate and friendly with strangers. It’s a great pet to own and definitely not a dog you would get for protection. Both the Poodle and the Golden Retriever are breeds which are designed to be hunters and water dogs. As far as the looks go, this hybrid can be similar to a shaggy looking retriever, a poodle with relaxed curls, or it can be anywhere in the middle of these two extremes. The fur’s length will vary from 4 to 8 inches in most cases, with the color of the coat varying. You might get a dog that is colored phantom, apricot, black, chocolate, cream or gold. 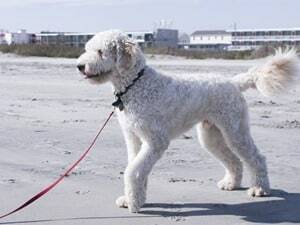 Since it’s a mix with a Poodle, the Goldendoodle will not shed a lot, so those that want a dog but have a mild allergy to them, will love these dogs. The size of the parents will often dictate the size of the dog you’re getting. A good way to approximate the size of a future dog is to get the average weight of its parents. All liters have smaller and bigger dogs though, so if you have a choice, you can pick one the size you want. As a general rule, you can expect a dog from this mix to have at least 45 pounds as an adult, with the miniature variants being under 30 pounds. There are extremes here as well though, so you can get a dog that will be 100 pounds. A big advantages of this hybrid is that the temperament is very nice. A family will certainly benefit from having a Goldendoodle, not only because they are intelligent, but because they are obedient as well. They love their family but they do well with strangers as well. They love kids and they behave well when other pets are present, but they especially love being near humans, so they’re easily trained. Like with any other dog, it’s a very good idea to understand what you’re getting into. Knowing the potential health problems of a breed is important and that’s why you should look at both the Poodle’s and the Golden Retriever’s potential health problems. A few health issues that these dogs might have include problems with their hips and eyes. With a length of up to 8 inches (sometimes only 4 inches long though), the Goldendoodle needs combing regularly and a bit of care. Ideally the hybrid will not lose a lot of hair thanks to the Poodle genes, but that’s not a guarantee. 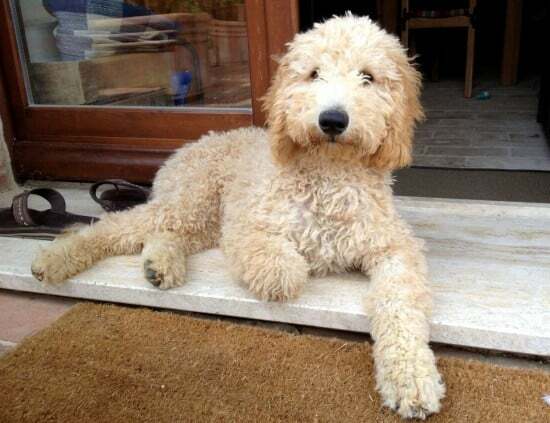 The cross between the Poodle (in any of its varieties – the Miniature, the Toy or the Standard) and the Golden Retriever resulted in obtaining the Goldendoodle mixed breed. Inherited from the Poodle, the Miniature and Toy varieties of the Goldendoodle (which are also the smallest ones) are sometimes obtained by artificial insemination performed surgically by some breeders, but this is not necessarily practiced by all of them. Also, there is no guarantee regarding the size, this being either of the Miniature Poodle Parent’s or the Golden Retriever’s. Determining or forecasting the temperament of a crossbreed is sometimes quite a piece of work, as it is required to analyze the temperaments of all the breeds that were involved in the bloodline, each having its own characteristics and thus any combination of characteristics being possible. It is also good to know which method had been used by the breeder in order to breed the Miniature Goldendoodle. 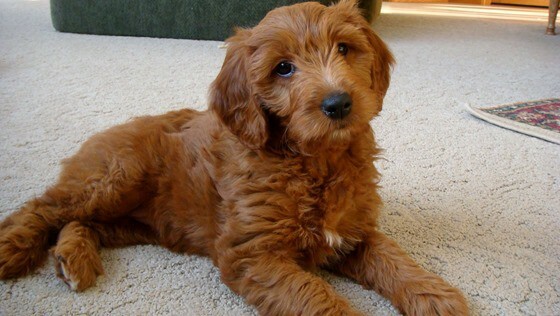 The Miniature Goldendoodle has some unique and impressive traits, which were among the main reasons for why they were bred. Taking the Standard Goldendoodle for example, the friendly nature, intelligence and trainability rendered this breed as a very popular one among the dog lovers. And, even more, this breed inherits quite a lot from the extremely low shedding character from the Poodle parent side, which is combined with the beautiful aspect of a Golden Retriever’s coat. All these traits together make a lovely image for a house dog, but there is one other aspect to consider, more precisely the size. 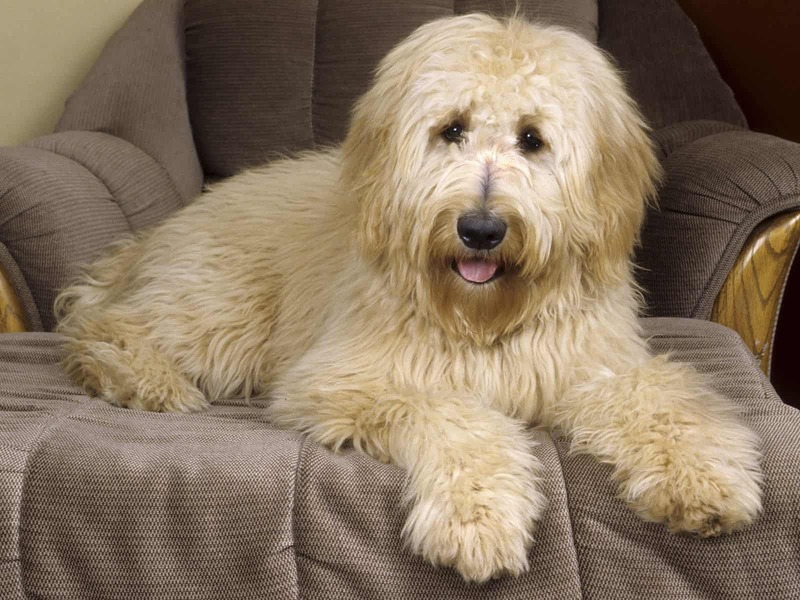 A Standard Goldendoodle can have a weight of up to 45 kilos, which is quite considerable when it comes to a house pet. Therefore, when one wants to avoid such big weights, the Miniature Poodle is used in a mix with the Golden Retriever. The main purpose of a Goldendoodle is that of a companion for people, as part of their families. They are even more suitable for homes if they inherit the low shedding coat characteristic from the Poodle, making them hypoallergenic dogs and, therefore, suitable for people with such issues. 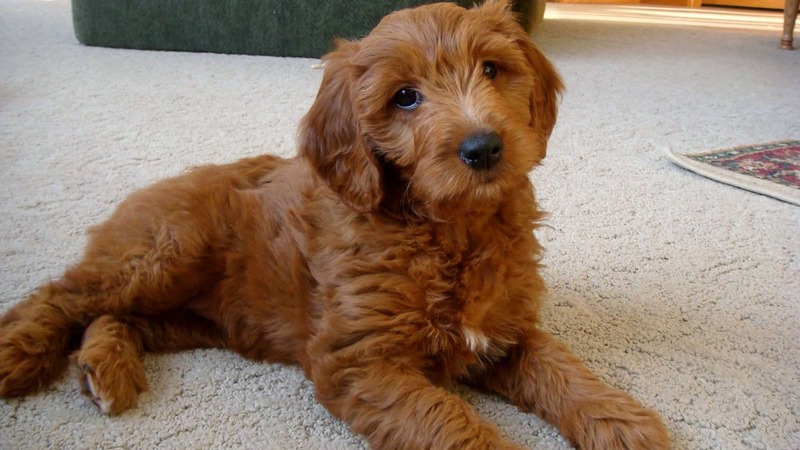 So when is a Goldendoodle perfect or most suitable? It is when a person wants to have a dog with the temperament similar to the one of a Golden Retriever, but, at the same time, wants a low shedding dog. 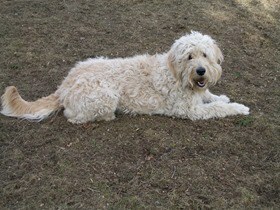 The Goldendoodle has both most of the time, although sometimes the low shedding trait is less or not present at all. Basically the shedding depends from one dog to another, so it can’t always be predicted or provided. This is also the main factor that influences the grooming requirements. Almost all Goldendoodles require regular coat brushing, in order to prevent the occurrence of tangles and mats. 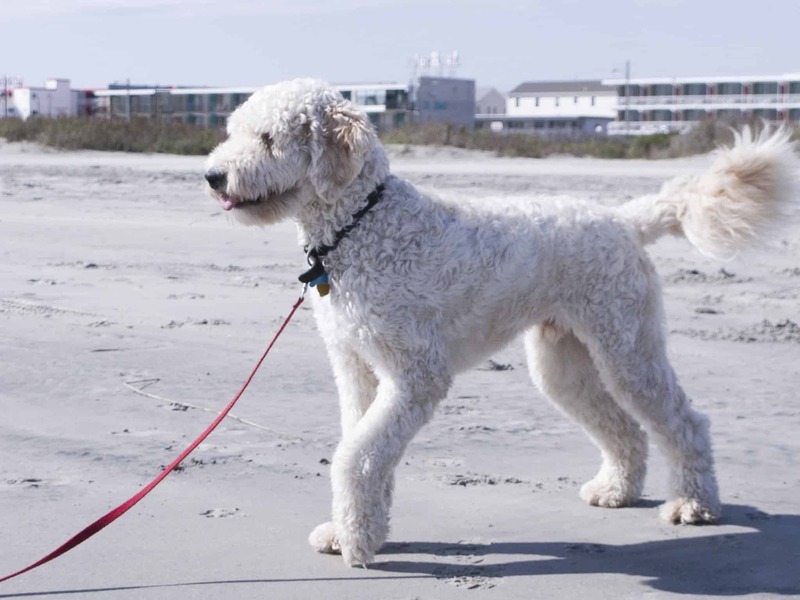 Full hypoallergenic character could not be determined in any dog breed and the Goldendoodle is no exception, although it is most of the time less of a problem for people with dog allergies. The crossing between the Standard Poodles and the Golden Retrievers started sometime in the last decade of the twentieth century, when North American and Australian breeders wanted to obtain a guide dog suitable for people that were visual impaired and also had dog allergies. 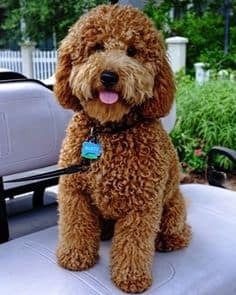 The Goldendoodle bears the name of a designer dog, a term which was traced back to the late twentieth century, when it meant the crossing of two pure breeds in order to obtain a combination between the Poodle’s low shedding level and other traits from other dogs. 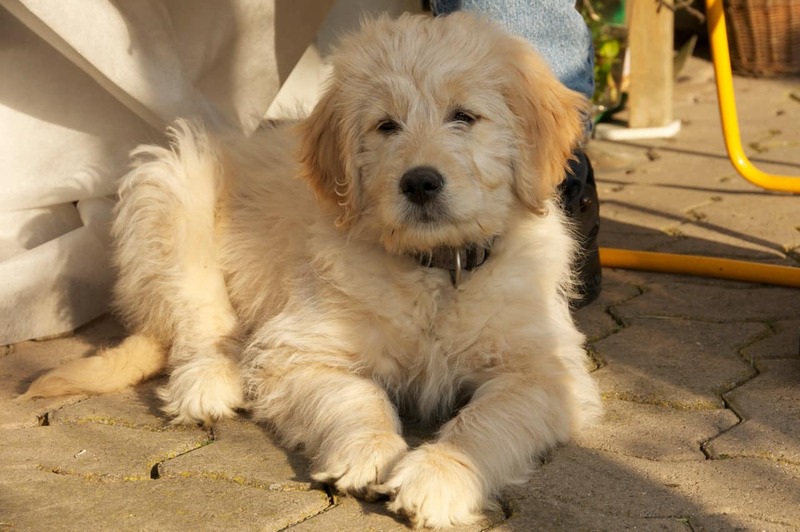 Due to the intelligence of both parent breeds, the Goldendoodles are highly trainable. They are also very fond of people and even of other pets and they are excellent with children. They develop easily a very strong relationship with the people they are companions for. Being active dogs, regular exercising is required, be it running, walking or even swimming in some cases. When considering getting such a dog, it’s important to know all the advantages and disadvantages it may have. From a maintenance point of view, they are not very demanding, only requiring occasional trimming and stripping, while brushing is not a must given the low shedding level. This makes them ideal for people with dog allergies or who hate having dog hair all around the house. Intelligence is the key factor that makes the Goldendoodles highly trainable. The Goldendoodle manifests good watchdog abilities, turning to barking when they sense the presence of strangers in the area and will alert their owners and will exhibit a protective and even aggressive behavior towards the strangers. The can adapt to any environment, provided they get the daily dose of physical exercises which ensures a good health level. The Goldendoodles can adapt to any climate and they get along very well with children, with whom they love to play and be around, manifesting affection towards them. As you can see from the wallpaper, this dog can be a very good looking mix.